How to get a Driver’s license in Beijing? If you already have a valid driver’s license from your home country and you are in China with a Z-visa, obtaining the Chinese driver’s license is relatively simple. There are two locations in Beijing where you can obtain an application form for the driving license. The Traffic Department is located on the East Fourth Ring Road near the southwestern edge of the Shibalidian South Bridge. Go directly to the Foreign Affairs Office and ask for this application form. In each district there is a local Public Security Bureau (PSB). They carry application forms too. The application form and instructions are written in Chinese. The form must be filled out in Chinese as well. If you do not read and write Chinese ask find a friend or someone who can to help you fill out the form. Maybe in your Hotel someone is willing to help you with the application. A part of the application form can just be filled out by a doctor. Consequently, you must visit a provincial-level or higher public hospital to get your application ready. Many private and foreign clinics are not authorized to fill out the form. – Your valid driver’s license from your hometown. The Friendship Hospital and the China-Japan Friendship Hospital are both top hospitals in Beijing and are popular among many expats. The International Medical Department of the China-Japan Friendship Hospital is open from 8:00 am to 5:00 pm, Monday to Friday. Other hospitals from where you can get the health certification: follow this link. The checkup will cost you RMB 80. Turn in all the required materials to the Beijing Traffic and Vehicle Department. After turning everything in, you will be scheduled for an exam time and will receive an admission card too. The written examination is a multiple-choice questionnaire and is held on Tuesday and Thursday mornings at 9am and 10am. 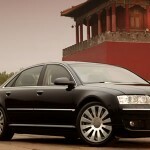 The test focuses on current traffic regulations in China. People usually say the test is easy and doesn’t require preparation but we recommend you to have a look on traffic rules and some signals used in the streets but the choice it’s up to you. There may be some deviations from the traffic regulations in your home country. If you choose to prepare, we advise you to buy a preparation book published by “Beijing FESCO Chenguang Labor Service Co.”, Ltd. In case you fail, the test can be taken an unlimited number of times and only costs RMB 5 to register again. You should bring the admission card with you when arriving to the exam. There are eight different versions of the same examination: Chinese (Simplified), Chinese (Traditional), English, French, German, Spanish, Japanese and Korean. Actually, the test is taken on computer, so your results will be checked immediately upon completion. If you luckily passed the exam, you can pick up your new Chinese driver’s license in one hour. The cost of the license is RMB 10. 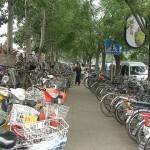 How to get a Motorcycle license in Beijing? 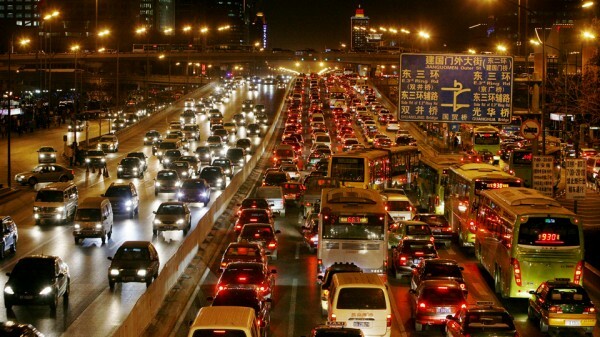 Tags: How to get a Driver's License in Beijing?